With Christmas on the way, we all start thinking about what to get the little ones in our lives for the big holiday. Our son has a birthday in November so the gift-buying frenzy for us starts even earlier than it normally would. Toddlers and preschoolers can be extra challenging when it comes to choosing gifts. On the one hand, they likely have a room full of toys. On the other hand if you aren’t careful, there is a good change that they will be more excited about wrapping paper than the gift itself. I’ve managed to make it through a few Christmases with toddlers now, and we’ve found some really fun and unique things that they have LOVED! 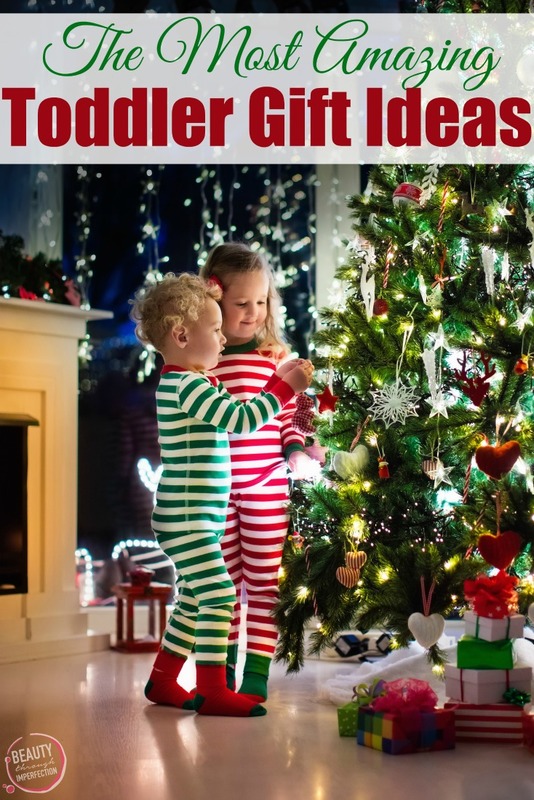 Here are some out of the box ideas that will show you what your toddler REALLY needs this Christmas (instead of that toy they think they want but will never play with). This post contains affiliate links. Definitely start off with a Strider Bike! This is the perfect first bike for toddlers. They can use them as soon as they start walking. 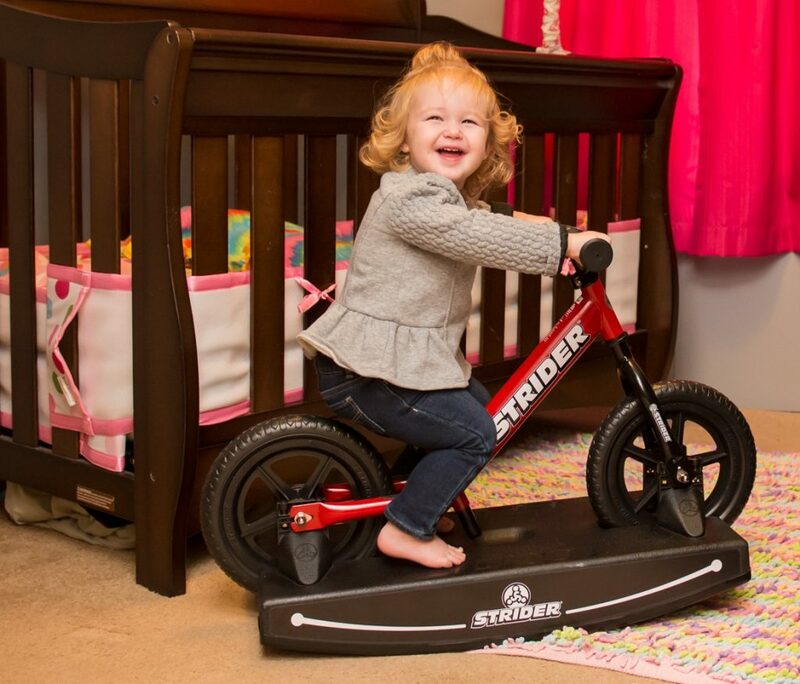 Now, there is a new Strider Rocking Base, for babies as young as 12 months, so they can start even earlier. It’s a lot easier to learn to ride a Strider than it is a trike. Since kids learn to balance on them, many kids are able to graduate to a pedal bike without using training wheels. We’ve used these with both of our kids, and we’re AMAZED at how fast they are on them! Our son used his from age 2 to age 5 so they are definitely durable and stand the test of time. It still is in great shape to be passed along to another kiddo. Dress up is always a favorite! 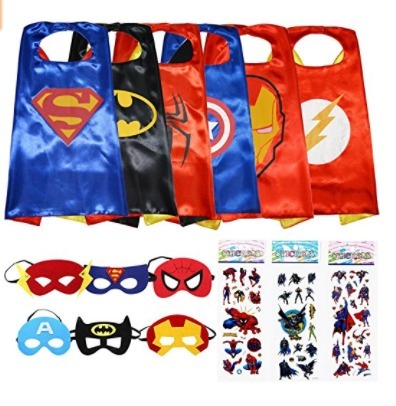 My son and daughter would both love playing with all the costumes in this superhero dress up bin. I love the simplicity of these capes, which means they can wear them all around town, grocery shopping and more without it being awkward. Even over coats and winter clothing! ABCMouse.com – ABCmouse is often used in kindergarten classrooms and it is a great program for kids! They have educational games starting for 2 year olds and they are all a lot of fun! The kids always love playing on the computer and this is a fun way to make it educational too! 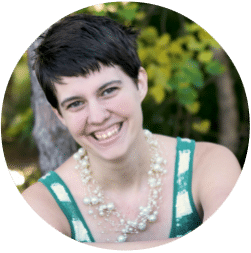 Bonus – I have a link for a free 30 day trial JUST FOR YOU! Click the image above to snag your free trial before Christmas. Christmas sing-along book. 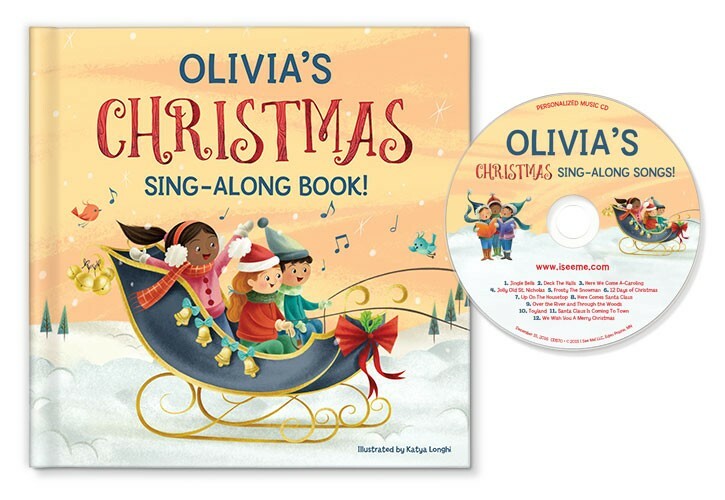 Make this fun Christmas book (with a sing-along CD) special for your child. You can customize it with their name, so every time you read it to them, they feel so special that it’s all about them! The best indoor(or outdoor) tent we’ve ever seen is this Toydle. See our full review here… this is step one, our fort got a second story and SO MUCH MORE before we were done playing with the Toydle! 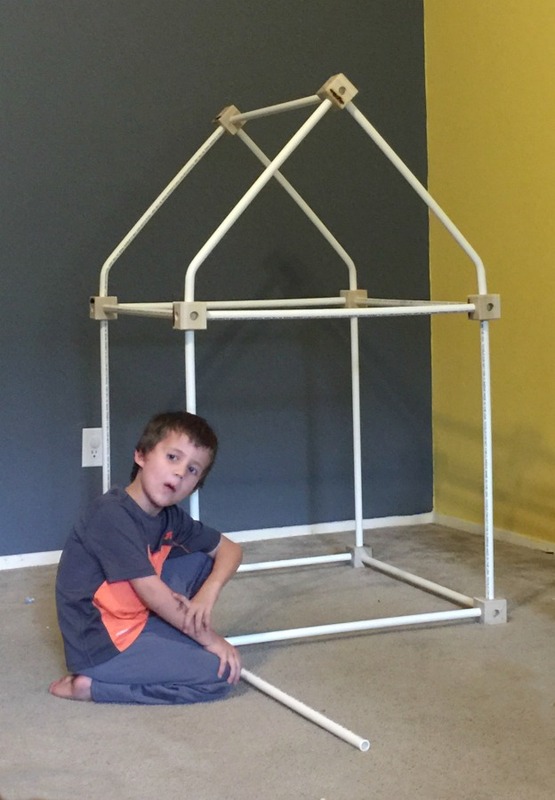 It is sturdy, easy to put together and folds up for easy storage. My kids (and husband) had tons of fun playing with it. 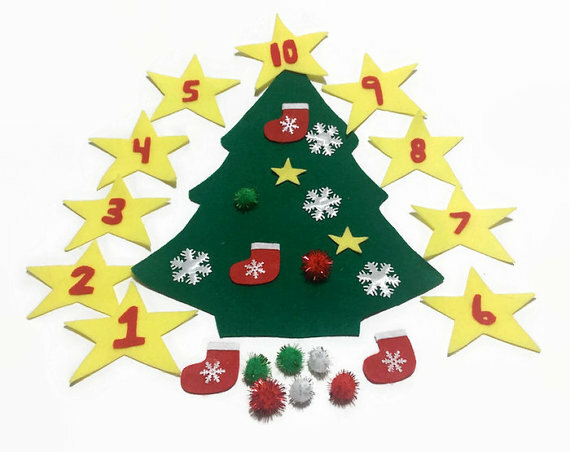 This Christmas tree game allows them to decorate and re-decorate their own tree, while also working on their counting skills! 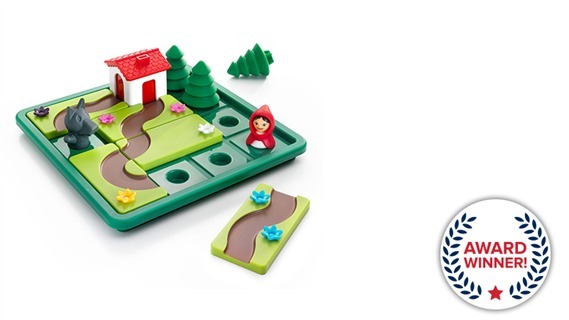 This fun, Little Red Riding Hood game changes every time you play it! Get her safely to Grandma’s house so you can win the game! 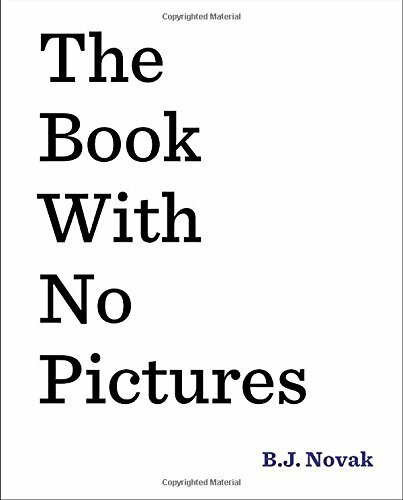 The book with no pictures is an absolute favorite of ours. 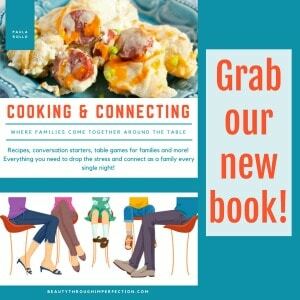 If you enjoy reading books aloud to your kids, this will soon become one of your favorites too! It is such a silly book, the kids will be giggling the whole time, and I dare you to try to make it through the book without laughing yourself! What types of gifts do your toddlers love? For more ideas, check out our list of toddler stocking stuffers! Hey Buddy!, I found this information for you: "Everything you didn’t know your toddler needed". Here is the website link: https://www.beautythroughimperfection.com/everything-didnt-know-toddler-needed/. Thank you.